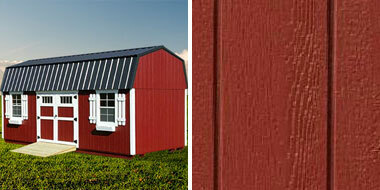 Below are the siding choices available with our sheds. All roofs are metal with vapor barrier. Choose siding from wood, metal, or Dura Temp. See brochure for quality of construction and wood interior. • No splitting or cracking. • Includes the paint color of your choice. 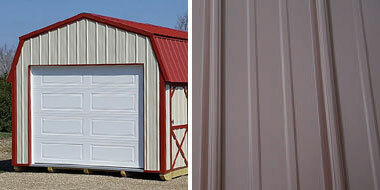 • Paint Free, 30yr Warranty. 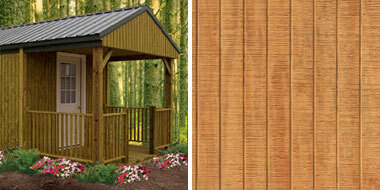 • Pressure Treated with ProWood micro CA for a lifetime of use without rot or termites! • Comes with a 3-5yr water resistant stain. *Should be stained or painted on a regular basis.